These Hawaiian Tile Murals bring a piece of island beauty right into your home. 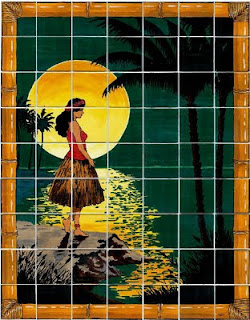 A perfect way to incorporate art into a bathroom spa, these tile murals are beautifully designed inspired by the calm and serenity of Hawaii. A wonderful start or end to the day . . . Aloha.